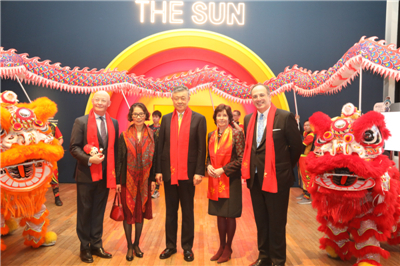 On the evening of January 30, Ambassador Liu Xiaoming and Madam Hu Pinghua attended the China Lates of Science Museum. Michael Ellis MP, Parliamentary Under Secretary of State at the Department for Digital, Culture, Media and Sport, Dame Sue Owen, Permanent Secretary for the Department for Digital, Culture, Media and Sport, Antonia Romeo, Permanent Secretary of the Department for International Trade and Sir Ian Blatchford, Director of the Science Museum Group, joined more than 100 representatives from the political, business, and culture sectors of China and the UK at the VIP reception. Over 5,000 visitors attended the event. Ambassador Liu noted in his speech that according to tradition, Chinese families always gather together to have a big “New Year Eve reunion dinner”. At the arrival of the Chinese New Year, the Science Museum offers a special “reunion dinner” with three delicious Chinese “courses”. The first course is the original and authentic science and technology of China. The exhibitions showcase China's splendid achievements in science and technology in both ancient and modern times. Today, China is pursuing innovation-driven development and has made gratifying progress in areas such as aerospace, quantum communication, high-speed rail and nuclear energy. They are China's contribution to the scientific and technological innovation and social progress of mankind. “The second course is the luscious Chinese culture. In China's traditional academic system, culture, science and technology are interconnected. Classic books of Chinese culture such as the Book of Songs, the Book of Changes and the Book of Rites all contain knowledge of mathematics, astronomy, geography, agriculture and forestry. 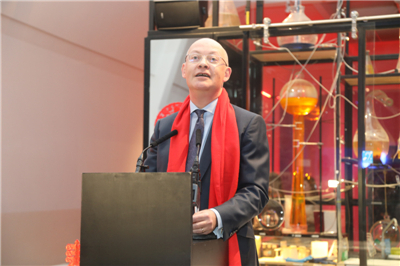 Tonight, China Lates offers the public an opportunity to appreciate the unique charm of Chinese culture through displays of science and technology”, the Ambassador said. The third course is China-UK friendship with an enduring fragrance. Cultural exchanges between China and the UK is the most vigorous and productive elements in China-UK relations. 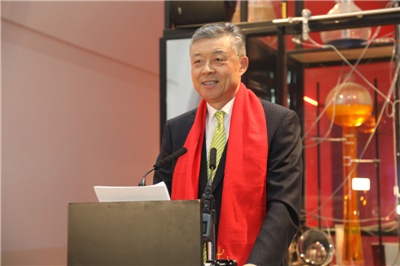 Ambassador Liu expressed his hope for more and more such high-standard events “to help the British people, especially the young people, to gain a better understanding of China's past, present and future.” “This will cement public support for the sustained development of China-UK relations”, he said. 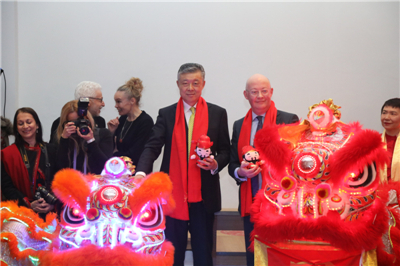 Minister Ellis said that the British government attaches great importance to the people-to-people and culture exchanges and cooperation between China and the UK. The exhibition of the Terracotta Warriors in Liverpool last year and the V&A’s branch in China are fine examples. Today’s China Lates will be another example to contribute to the understanding and cooperation between China and the UK. Sir Ian Blatchford said that China’s achievements in science and technology in ancient times have made important contribution to the development and progress of human society, and China’s present scientific and technical progress has attracted worldwide attention. In recent years, the Science Museum has maintained close exchanges and cooperation with the Chinese government, scientific research institutions, museums, and universities. China Lates is a vivid reflection of this friendly cooperative relationship. He hoped that all the visitors would enjoy this cultural and technological feast. The Chinese community in London brought folk music, dance and Kongfu to the event, turning the exhibition hall into a grand Chinese New Year gala. British children listened to stories about the legend of “Nian” and the meaning of the Year of Pig, and visitors learn to make fortune cookies, new year red envelopes, and new year paintings and couplets by screen printing. The restaurants in the Museum prepared special Chinese food for the visitors to enjoy. Founded in 1857, the Science Museum in London is the first science museum in the world, collecting and showcasing items of important achievements in the development of natural science and modern science and technology. It attracts over 3 million visitors from around the world every year. The Museum is part of the Science Museum Group that also includes the Science and Industry Museum in Manchester, the National Railway Museum in York and 3 other museums. It is one of the largest museum groups in the world. China Lates, the first of its kind by the Science Museum consists of exhibitions, lectures, performances and craft sessions. The Beijing Publishing Group with its “An ancient Chinese scroll in AR” lively showcases China’s splendid achievements in science and technology in ancient times. The “Flyers of Mesozoic China” brings visitors back in time and space to ancient China when dinosaurs and pterosaurs occupied the earth and the sky. “Brontës in China” recalls the translation of the works of the Brontë sisters and their impact on the Chinese literature and films. 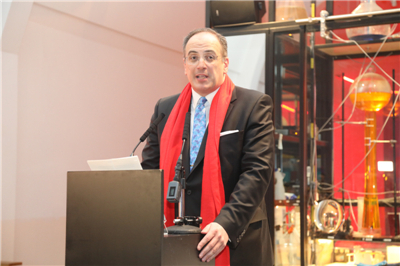 The Science Museum also invited the administrator of International Relations at the Europe Space Agency to give presentation on China’s Space Programme, telling the recent achievements of China Manned Space and the significance of the recent landing of Chang’e-4 probe on the far side of the Moon.